If you find social events draining and frightening the same time, chances are you’re an introvert with social anxiety disorder. Social anxiety disorder symptoms are often confused with introversion, a human personality you’re born with. For as long as 15 years, I’ve taken what I’ve experienced psychologically as signs of being an introvert, without realizing that they are common symptoms of social anxiety disorders. While there are extroverts who suffered from social anxiety (Kel from AnxiousLass was one), introverts often earned the bad reputation of being anti-social or rude just because it is easier to confuse introversion with social anxiety disorder. Social anxiety or introversion? If you have doubt, here are 9 psychological social anxiety symptoms that I’ve mistaken as signs of being an introvert. 1. Dreading social events ahead of time. It’s a common misconception that introverts hate social event. It’s just that they don’t feel like a social butterfly as their extroverts counterpart. Introverts don’t feel the need to mingle and make meaningless small talks. Instead, they build deep meaningful relationships with selected few in social gatherings. But if you find yourself feeling anxious weeks ahead of a social event, it could be a hint of social anxiety disorder. If you’re extremely self-conscious on your behavior in public situations, it’s a clear sign that you’re struggling with social anxiety. Introverts, while reserved in their speech and action, are actually confident and self-assured. If anything, introverts are calm and collected in social situations. Former US President Barack Obama definite is one great example and yes, he is a well-known introvert. Introverts don’t particularly crave being the center of attention, but they don’t hate it either. If the situation demands them to lead, they will do so without drawing unnecessary attention to themselves. Instead, they allow others to shine. But if you practically loath attention that you’ll do anything to avoid it, you may be suffering from social anxiety disorder. If anything, introverts take responsibility for themselves and others under their care. Great entrepreneurs like Mark Zuckerberg is a good example. Facebook doesn’t get to where it is if its founder avoided responsibility. Social anxiety sufferer, however, will find themselves avoiding any tasks that would trigger their social phobia. That may include talking on the phone or even communicating with colleagues to the extent of affecting their career. When introverts enter a room of strangers, they are already analyzing the guests and have a clear picture of the social situation before they sit down. They may not participate in small talks and probably enjoy sipping their drinks in a corner. However, people with social anxiety will have their heartbeats raised and felt everything is wrong with them the moment they step in. They are super conscious of their hair, attire, shoes and even how they walk. Can you relate to this? 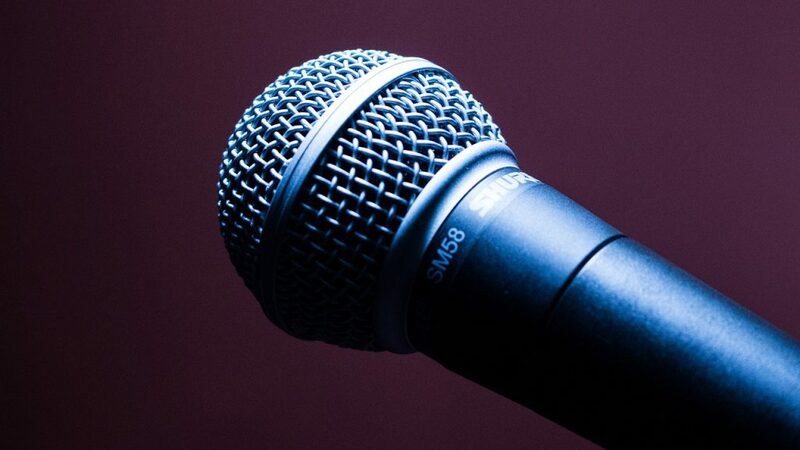 The fear of public speaking is greater than fear of death for the average people. However, most people including introverts would eventually overcome the nervousness and fear after a few sessions. They make mistake, improvise and gain confidence after a certain period. In fact, introverts are believed to be great public speaking materials. But if you find yourself being increasingly traumatized by the thoughts of public speaking, you’re staring point blank at social anxiety. Introverts are naturally reserved. They are mostly quiet when there’s nothing worthwhile to say. But when they speak, it’s in depth and from their mind. But if you find yourself rehearsing hundreds of time what to say in your appointment for days, or even in a casual conversation, then you should start checking some remedies for social anxiety. Public speaking aside, eating in public is one of the greatest fear for people with social anxiety. They are self-conscious on whether they leave a mess with their food, or having to say “hello” to others when they are deeply terrified inside. Introverts, however, have no such problems. They enjoy dining out but prefer solitude rather than noise and small talks. If you find it hard to smile to others, because you feel that others would not smile back, there’s a high possibility you’re showing a common social anxiety symptom. In short, you anticipate rejections to your social approach. On the other hand, introverts are not well known for their smile, but it’s only because they are not faking a smile, or they don’t feel the need to show their happiness to others. Notice the difference? 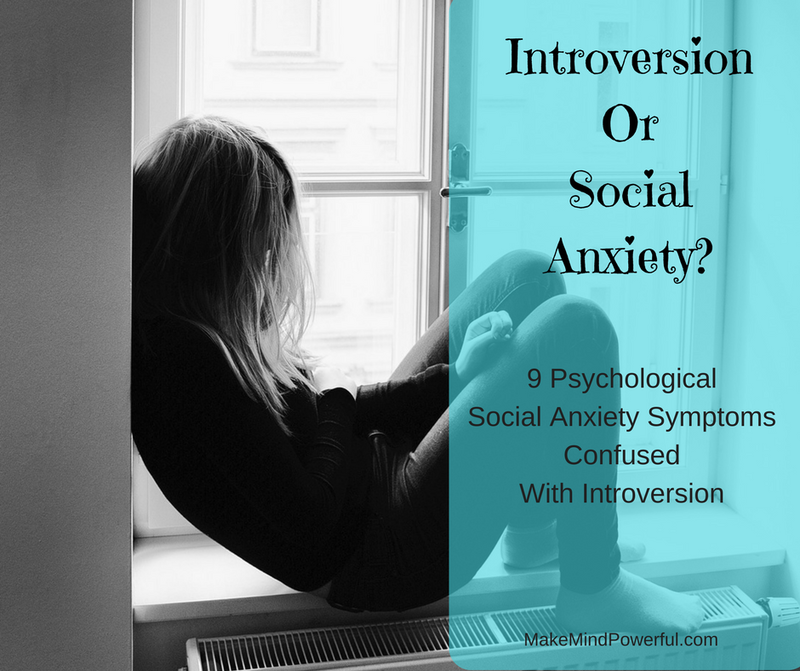 What If You Are An Introvert Suffering From Social Anxiety Disorder? After all, I went through as long as 15 years without realizing I’m suffering from social anxiety disorder. But the news is, it’s a condition that can be managed, and eventually rid off. Read my full story here. If you find yourself having the psychological social anxiety disorder symptoms listed above, you have a choice to overcome this anxiety issue and shine as an introvert. It’s not easy but takes small little steps in the form of gradual exposure. There are also various techniques and remedies you could try to overcome social anxiety issues. My personal favorites are mindfulness meditation and hypnosis, a perfect combo to train and recondition the mind to unlearn non-supportive behaviors and encourage positive ones. Are you an introvert? Do you suffer from social anxiety? Or do you fear public speaking? How do you overcome your social phobia? Share your stories in the comment below. Hey Kenny, I completely agree and can relate to your story. I’m always on the look out for people who possibly suffer from social anxiety and aren’t simply just shy or introverts. In my early adult life I felt this way, didn’t even want to hang with my close friends and one day I decided I was gaining nothing and losing out on life and changed my behavior, hopefully more people will see this and realize the problem, thank you. Your article is very helpful. It help me differentiate introvert from a person suffering from social anxiety. I think I am more of an introvert than a person suffering from social anxiety. Sometimes I dread coming to parties because I could not stand the noise although once I chat with my small group of friends, I could withstand a bit of the background noise. It’s giving me headache at times. I feel conscious and of what to wear sometimes because I’m not use of wearing formal attire. I guess this is quite normal ‘though I’m still unsure if I’m suffering a bit of social anxiety. I’m currently attending yoga exercises and it had helped me to feel relax and feel better about myself. Besides yoga, is there anything that you could recommend to help me feel much better about myself? Thank you! If your social awkwardness doesn’t prevent you from carrying out your daily life, then it’s nothing to worry about. I didn’t do yoga but practice mindfulness meditation and hypnosis. I am so glad you wrote this post! This something that I battled with for sometime in wondering if I had a social disorder or just introverted. I am an introvert because I do not like being around crowds of people. It s really exhausting. What I like to do is listen to music when I am in a crowd of people to kind of drain out people as bad as that seems. But, that is my way of getting through the annoyance of a busy train station. Listening to music provides a good distraction from triggers. Thanks for the tips. Mental illness is definitely something that still has a long way to go before being understood and accepted like physical illness is. The struggle and the pain that comes from it IS very real, however and I can definitely attest to that as someone who spent a decade battling severe eating disorders. This insight into Social Anxiety Disorder is eye opening and very interesting – also makes me think of some people I know that exhibit these behaviors and wonder whether they need to be reached out to. Regardless of what mental illnesses one is going through, the struggle is real and our spirit took a hard beating. Thanks for sharing your experience here.